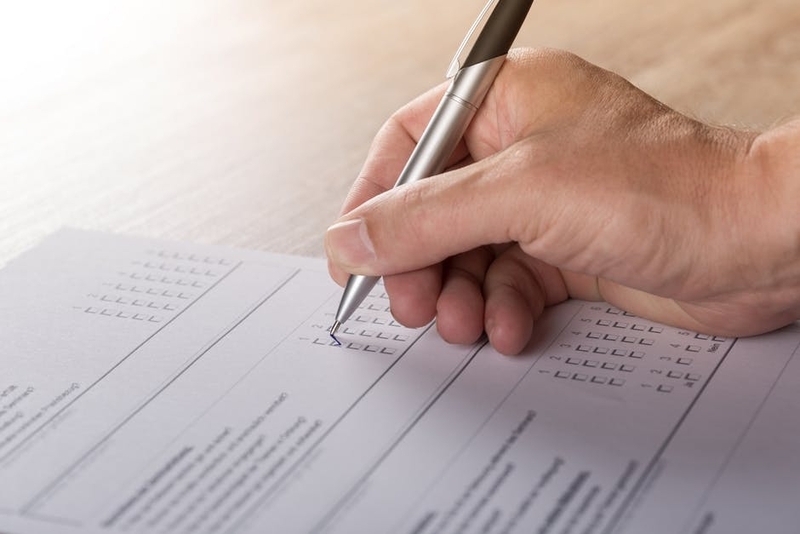 Whether it’s a business venture or a school project, survey questionnaires are one of the most efficient yet effective tools in acquiring data from a given population. This is typically written to gather information on a given topic for researchers to analyze. While this may seem like a simple task to carry out, it’s not as easy as you may think. Even the smallest mistake can seriously impact the value of your survey results. Developing a questionnaire plays a crucial part in your study. Inaccurate results can lead to poor decisions. So if you ask the wrong questions, or maybe portray it in the wrong way, you’re bound to end up with a disappointing and good-for-nothing outcome. That being said, proper planning and writing are essential to help you generate trustworthy results. And how can that be achieved? By perfecting every part of your survey questionnaire, of course. What do you do when you meet a person for the first time? You take it as an opportunity to introduce yourself, right? A small exchange of names, witty words, and what not. With a survey questionnaire, it’s the same thing. Every survey questionnaire begins with a proper introduction of who you are and what your purpose is. This is usually found on the first page of each document and is said to be one of the most important steps in developing a survey. For one thing, it lets a potential respondent decide whether or not he or she would be willing to go on with the survey. After all, no one would want to answer a set of questions without knowing what it is for. Words of thanks: One of the reasons why introductory thank-you statements are vital is to make a respondent feel welcomed and valuable to the study. Not only should it express your utmost gratitude towards a respondent, but it should also emphasize the significance of one’s input to your purpose. This can further encourage a person to participate in the survey as well. The title or topic of the study: With privacy being of primary concern, we often feel reluctant to answer survey questionnaires from complete strangers or people we hardly know. Because of this, it’s important to stay as transparent as possible with your audience. Provide respondents with general details of your research along with information on how the given data will be used. It may also be necessary to discuss your objectives for such survey. Once you develop a level of trust with your respondents, they’re likely to answer each question truthfully. The estimated time to complete the survey: Although this is optional for some questionnaires, it can also be critical for a number of reasons. Since we all live by our busy schedules, this is something that can affect a respondent’s willingness to take part in the survey. Giving your audience an idea of how long the survey could take provides reassurance that you won’t end up wasting their time. A confidentiality agreement: Whether you’re conducting a survey to study a group or each person individually, you must promote the confidentiality of every input. Anonymity must be permitted for group researches, considering how the data gathered shall be analyzed in its general form. This will help put any privacy concerns at ease and allow respondents to answer questions sincerely. Incentives: Unlike other components included on the list, this part is optional. As part of a company’s marketing strategy, they sometimes offer incentives to respondents in the form of discount coupons and gift certificates. Terms and conditions on how to claim the incentive must also be indicated properly in the questionnaire. 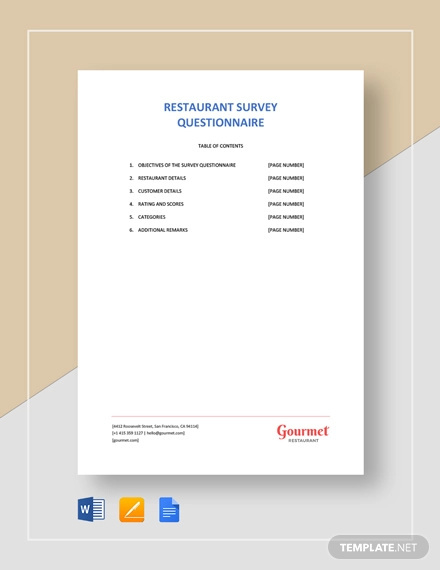 The most important thing to remember when conducting surveys is to never force anyone to answer your questionnaire even though they have already read the introduction of your document. This could affect the way they reply to each question, giving you hollow responses in return. Regardless of its purpose, not everyone is comfortable with responding to surveys, so learn to respect a person’s decision instead. Yes or no questions, multiple choice questions, and questions that may require more than one answer fall under this type. This is considered to be the easiest type of questions to ask in a survey as it leads to a simple analysis of counts and percentages. The responses attained are usually made specific in order to garner clearer results. Researchers can then use a bar graph or a pie chart to present the data gathered for their study in an organized manner. For instances where you need to collect ordinal data, ordinal questions are the perfect option. Similar to the categorical type of questions, the data gathered may be analyzed through counts and percentages. This may be garnered by asking multiple choice questions, drop-down questions (for online survey questionnaires) or ranking questions. And because these are an ordinal type of questions, remember to list all the choices in a proper order. This is perfect for gathering demographic data and the like. Interval or ratio questions tend to be more advanced compared to the other types of survey questions. For instance, the previously mentioned questionnaire types gather nominal-level and ordinal-level data respectively, making it difficult and almost impossible to take averages and test correlations. But with the interval or ratio questions, an analysis is done by finding averages, testing correlations, and even running regression models. 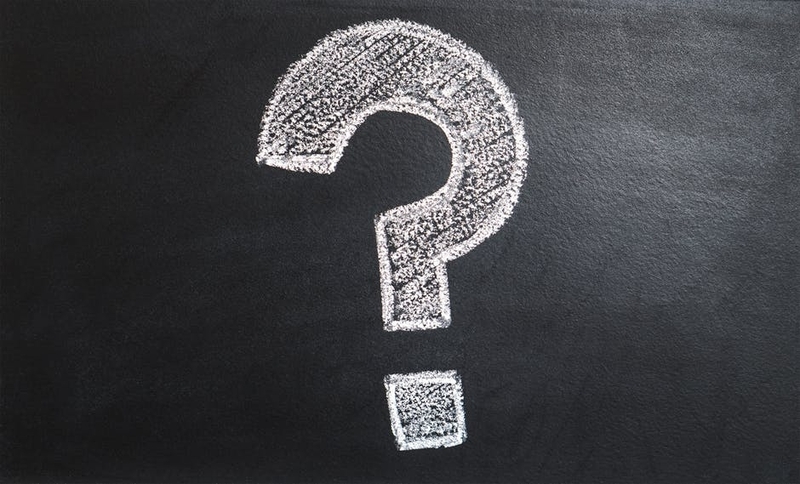 These type of questions are often seen as the most difficult to answer, considering how a respondent must take the time to fully assess the question before answering. The list of possible answers that follow these questions is usually presented through a ranking scale, a matrix or a text box. 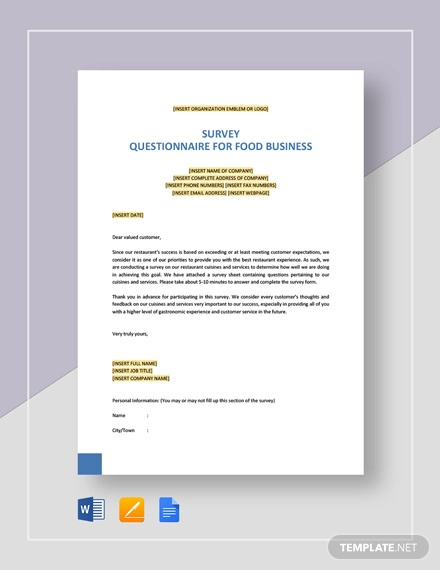 The type of questions to include in your questionnaire should depend on the purpose of your survey, as well as the form of data you wish to acquire. It’s important to consider who your target respondents are as well. Now that you know what type of questions to ask, it’s now time to list them down. But beware when you do so. Make it specific and to the point. Cut to the chase. Don’t waste a person’s time by tiptoeing your way around what you really want to ask. Not only can this cause confusion among your respondents, but this can also build a level of frustration. Your respondents will only feel discouraged to continue on with your survey. Avoid asking questions that make a person think twice about their answers. Knowing that we all have our own interpretations of certain words and statements, it’s important to use terms that are commonly understood by the majority. You must be able to ask questions that are easy to comprehend and answer with a single glance. Use simple language. Refrain from using big, complex words and phrases that may have multiple meanings. 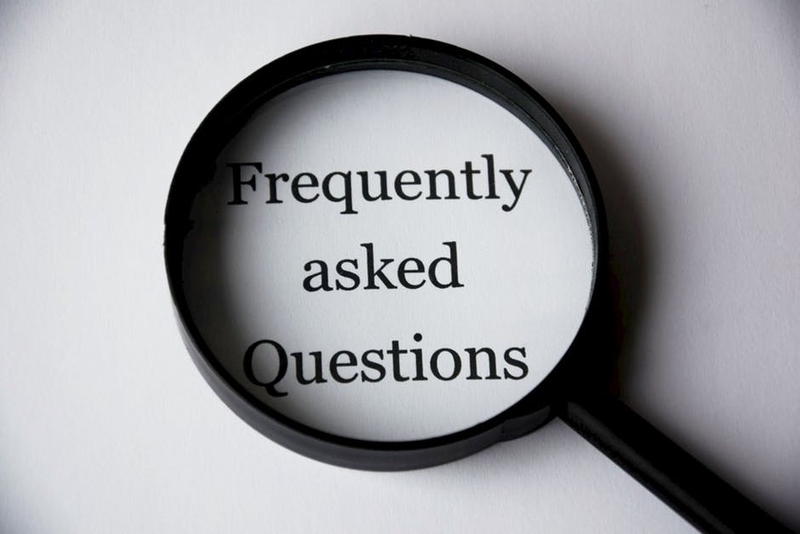 It’s important to use layman’s terms in delivering questions and providing answers to avoid any misunderstandings and complications. If these terms cannot be conveyed in a simple language, then you can always provide a guide for respondents to refer to. Break down broad ideas into multiple questions. Some concepts can be too broad to explore by asking just a single question. This limits your opportunity to further understand a given topic in its deepest form. When this happens, try breaking it down into smaller ideas. This can help you attain accurate responses for better analysis. It also makes it easier to assess every aspect of the subject being tackled for the benefit of the study. Refrain from asking double-barreled questions. When creating a survey questionnaire, the way you are able to formulate your questions really matter. You may not realize it, but you could be committing a mistake of asking double-barreled questions. This is often hard to answer, considering how this requires one answer to two different questions. The best way to deal with this is to separate both ideas entirely. Don’t ask leading questions. As much as you want honest answers, you can never attain such by asking leading questions. These questions often make a person feel like they are taking an actual test with right or wrong answers, which in turn, can give you inaccurate results. Sentence construction must be done properly to avoid this from happening. Ask a friend or colleague to check your survey questionnaire for any questions that make them feel uneasy. And when they do find something, you can either rewrite the whole question or break it down into multiple questions. Limit your number of options. While there may be a varying number of options per list, you need to make sure you don’t provide too little or too much options for a respondent to choose from. An excellent approach would be to list the most likely choices and then an “other” option for answers that may not have been mentioned. Once you’ve completed your survey questionnaire, an overall review of your document won’t hurt. It would only make sense to ensure that every component of your questionnaire is done correctly to acquire insightful responses. While no survey is entirely perfect, investing your time and thought into creating the right set of questions is essential to getting the answers needed for your study.